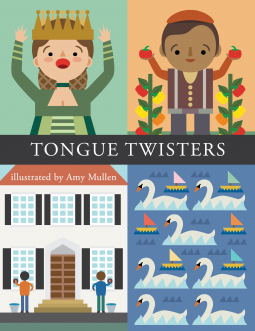 Fun for all ages: Tongue Twisters by Mullen – Joyce's mystery and fiction book reviews with some non-fiction too! This book is delightful. It is a fun, illustrated compilation of tongue twisters. Some of these are well known while others seem a bit more obscure. Children and adults can share this book and have a lot of fun! Enjoy it with a child in your life.